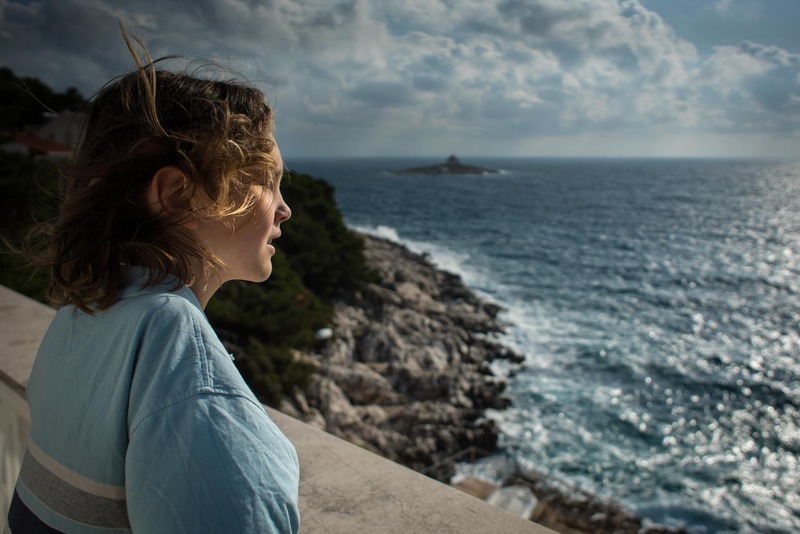 We’ve been in Croatia about three weeks and I haven’t posted a single thing here on the blog. So this is a quick update of what we’ve been up to and ten things to do in Hvar in the off season. In summer there are a zillion tourists, soaking up sun on the beaches, exploring colorful sea caves via boat tours, eating and drinking at one of the many restaurants, cafes, and bars, and generally partying it up. Not so much in November/December. The weather is cool and the town is mostly closed up. Still we found many things to do in Hvar (in addition to sitting behind computers desperately trying to make a living). Our Airbnb host has taken us on a couple great hikes. I’m working on a separate post about that, but I will tell you that they are long and we get to the top of hills with beautiful views in every direction. 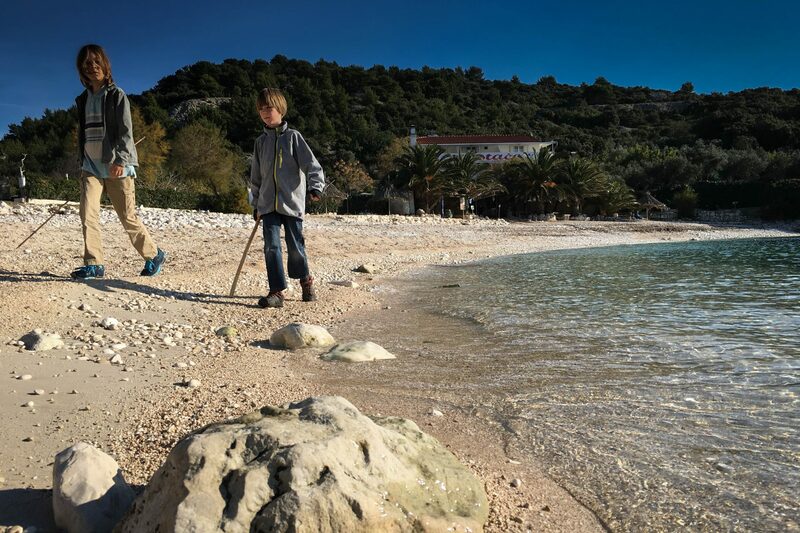 Hiking is a great way to get to know Island Hvar and its flora, geography, and fauna. Bonus points to Vlado for telling us about the plants and animals that live here. 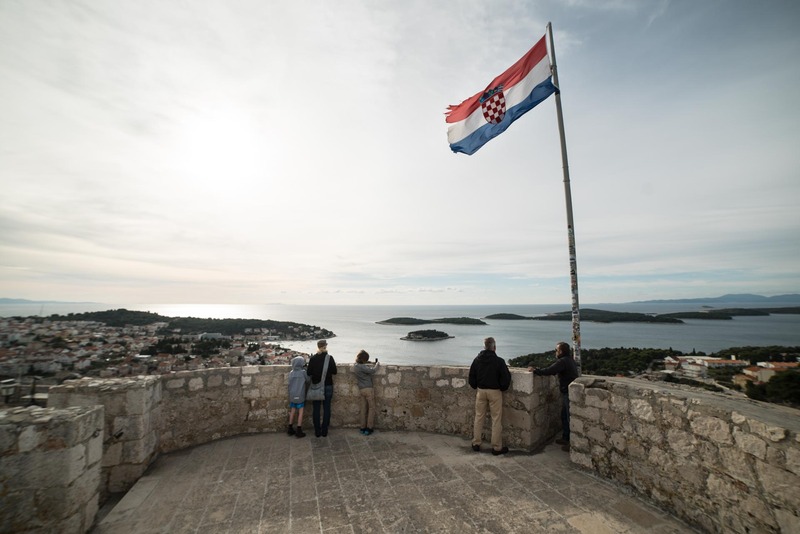 The fortress, finished in the 16th century, sits about 100 meters above Grad Hvar, the older part of the town. Like most fortresses, it was there to protect the town and has an ideal perch to watch the town and port for pirates or marauders. The foundations of the fort were started in the first half of the first millennium BC and protected the Illyrian settlement on the hillside. The thing is old! The present day fort construction began in 1282 when the area was under Venetian rule. It is incredibly well preserved. 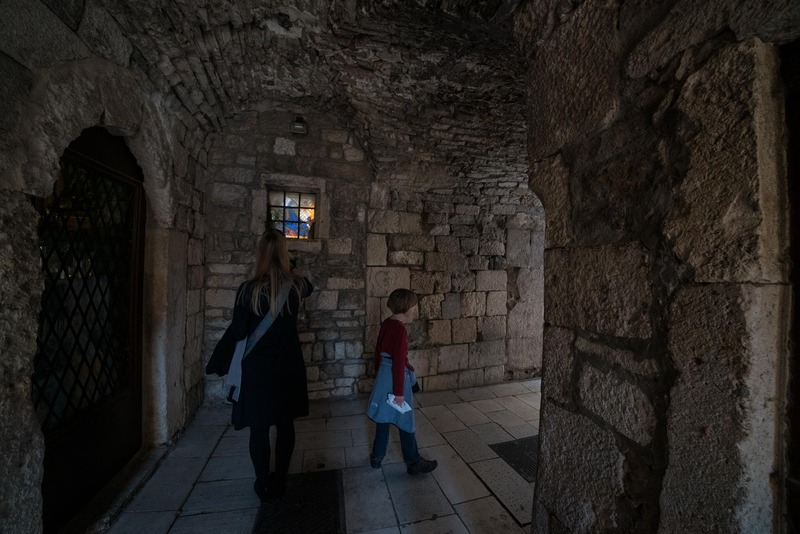 The Fortress has four bastions, a church, a prison, several corridors, gunpowder rooms and numerous corridors – a massive structure with a strong civil engineering foundation. Wikipedia has a good overview of the history of Hvar town. It’s closed this time of year, but Vlado knows the guy with the key. The Fortress Manager met us up there and let us explore. The history and the fort were interesting, but what really got me was the view. I guess I like being up high. I didn’t see any pirates or marauders, but I did see the big, blue sea and the chain of islands offshore of Hvar. It’s also a great place to get perspective on the town and see where everything is. After our tour, we walked back to town along an herb garden-lined path. It’s about a 25-minute walk to a cute playground. The kids like the jumping, climbing, and swinging; I like sitting on the rocks next to the sea and writing or reading. Win-win. There aren’t many places open this time of year, but there are several cafés. No food, just drinks. 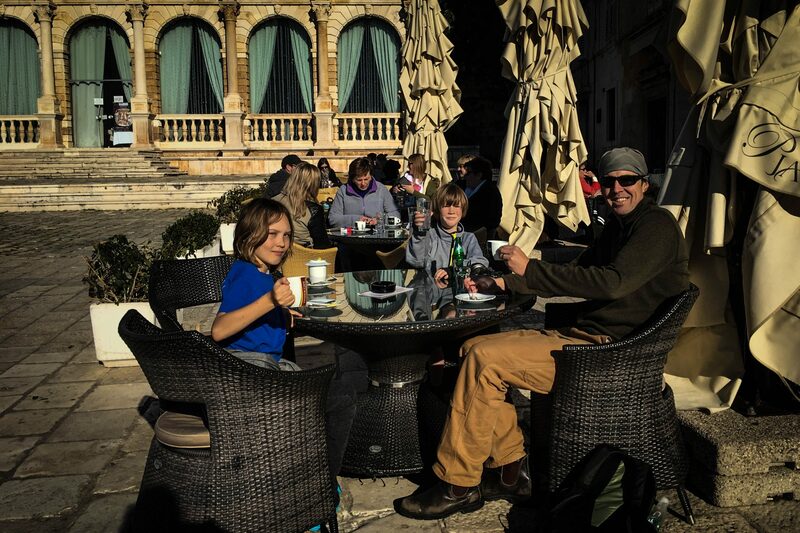 Croatian coffee culture is famous, so we’ve had to partake a couple times. You know, to experience the culture. This guide explains how to order coffee or tea in Croatia. And this book has all sorts of insight into Croat culture in general: Chasing a Croatian Girl by Cody McClain Brown. Grad Hvar is beautiful. (Grad = town, both the town and the island are called Hvar). I’ve loved wandering the stone stairways between narrow stone “streets.” A lot of the buildings in the old town you can only reach on foot. I love that. The steps and windowsills are decorated with plants, softening and greening the hardscape. There is a lot here: The theater, St. Stephens Square, the loggia and clock tour… too much for this little post (which keeps getting longer and longer). Check out some of the town sights on Wikipedia. There are cats everywhere! And most of them are pretty friendly. I thought this island could use a spay/neuter clinic, but then found this animal rescue website which indicates that there are some people dealing with the overabundance of stray cats here. Still, there are a lot of cats. We like petting them and taking photos for the Instagram account I set up for my dead cat, Mr. Finklestein. It’s not weird. If you like cats, dogs, donkeys, or ponies, you should follow Mr. Finklestein. We can’t come to Croatia and not sit by the beach, even if we are doing it in long sleeves and not swimsuits. There is a great little beach about a ten minute walk down an Allepo pine lined path. It’s the opposite direction from Hvar Town and barely anyone goes there this time of year. It’s all ours. This also deserves it’s own post – I need to get on it! We took the ferry to the mainland and the town of Split one Sunday. Split is the second largest town in Croatia and built around the Roman Palace of the Emperor Diocletian. Our ferry arrived as a cruise ship was unloading 5,000 people, so it was a little crowded and overwhelming after being in such a quiet place for two weeks. Once we got into it, though, we enjoyed the market, wandering through the old palace, climbing the bell tower, and the Advent Market. There are zillion things to do and see here, but we took it easy, wandered, ate, and drank wine. We saw all the sites mentioned in this itinerary for a day in Split, plus perused the Christmas Market stands, but you have to time it right for that. If you are there in summer, don’t miss the Ultra Europe music festival. Check out this site for more on the very long and interesting history of Split. Our incredibly generous Airbnb host, Vlado, drove us around the island of Hvar one day to show us some of the other towns. 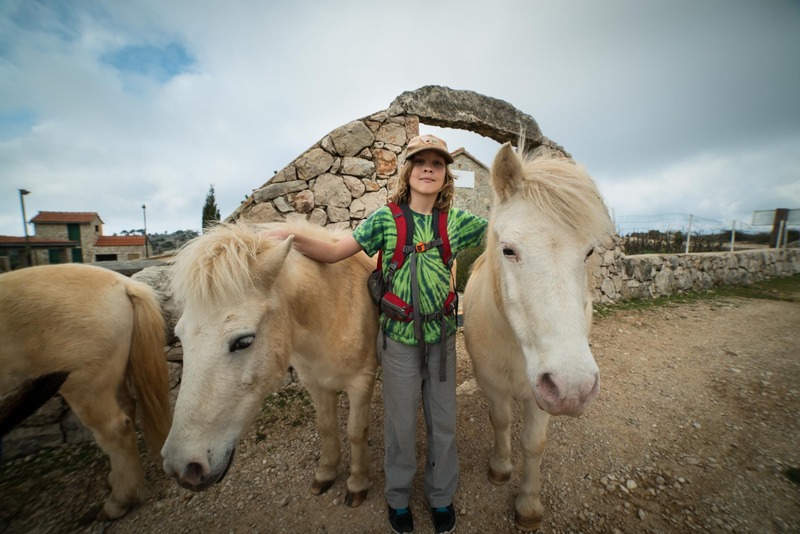 Hvar Town is the largest, Stari Grad is the oldest (Stari = old, Grad = town), and Vbroska was Henry’s favorite. We also stopped in at Jelsa and Sveta Nedilja. Of course, almost everything was closed this time of year, but we enjoyed walking along the waterfronts in all of these places. The towns are beautiful and we could have spent a whole day in any of them. We rented our apartment through Airbnb. It’s working out really well for us and the view from the balcony is amazing! The real treasure is Vlado who has shown us all over the island and given us a little insight into at least one Croat. There are many apartments and hotels here, so you will find out exactly what you want. First time Airbnb users can get $35 off with this link. We also like Booking.com for rentals. 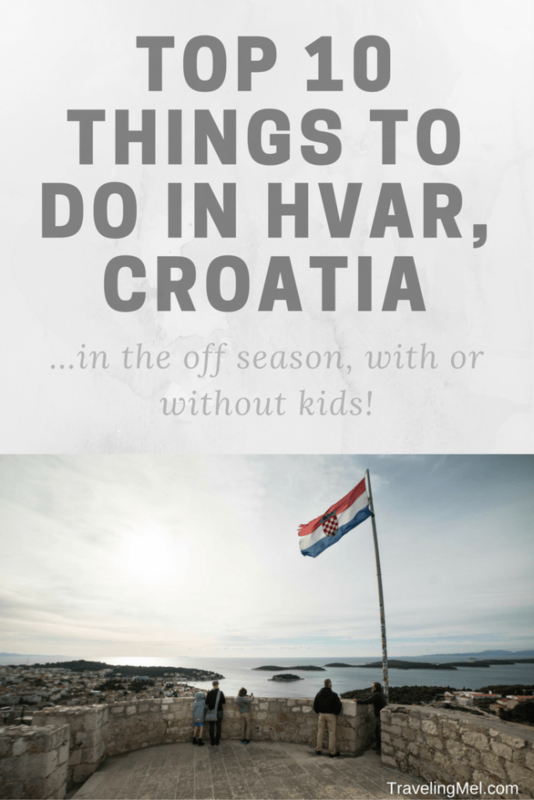 Do you have anything to add to this list of things to do in Hvar in the off season? OH WOW–I think I need to Add Croatia to my places need to visit. So enjoying it all. Absolutely add it to your list. And this is just one island! So much to see in such a little country. Yes, it is really beautiful. You’ll have to plan a trip this way! 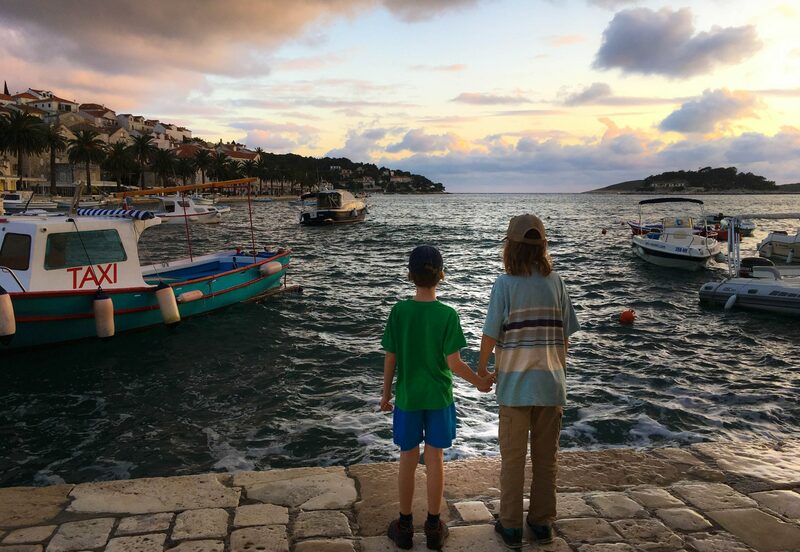 Your photo of Grad Hvar looks lovely! Hanging out with the cats is entertaining in itself. I remember all the cats in Istanbul. Some were so friendly and carving attention. So wonderful that they have a rescue centre for them. I haven’t been to Split before but heard that it is a lovely place to visit. Nice that you can take a day trip from here to it. I remember the cats in Istanbul, too! On one hand, I love seeing them all, on the other hand, I know it’s not great to have so many strays. Love that you mentioned the playground that you stopped at. 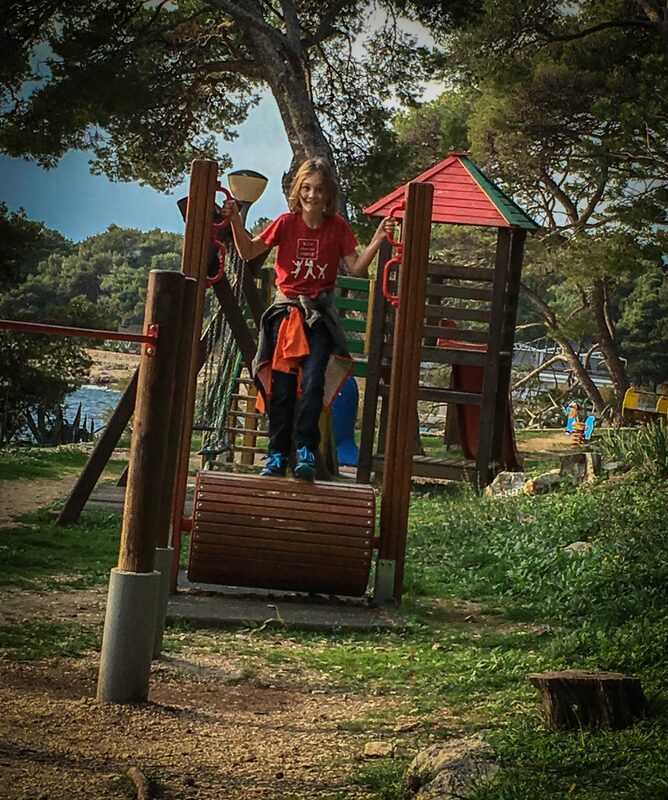 As a traveling parent too, I am constantly looking for playgrounds in new cities or countries. My daughter can only take so much sightseeing before she needs a break to play and be a kid. Yes! Play grounds are great finds. Kids (and adults) just need to chill out and move around sometimes. Thanks for the post. I’ve been hearing a lot that Croatia is starting to get too touristy during high season and then people say that there’s not much to do in winters, but you just proved them wrong. Although I love the beach but I can’t be out in the Sun for too long so winters would be perfect for me and kudos for jumping in the cold sea. From the photos I have seen, it does look crazy here in summer. It’s also when everyone on the island makes money. But, I am with you – I’ll trade crowds for cooler temps any time. It is a lot! But the town tour, playground, cats, fortress, and swim could be in one ambitious day! This was quite informative and helpful. Thanks for sharing this. What a great little town! I especially love the part about meeting all the cats since that’s something I always end up doing when I travel. There are so many cats in Europe! 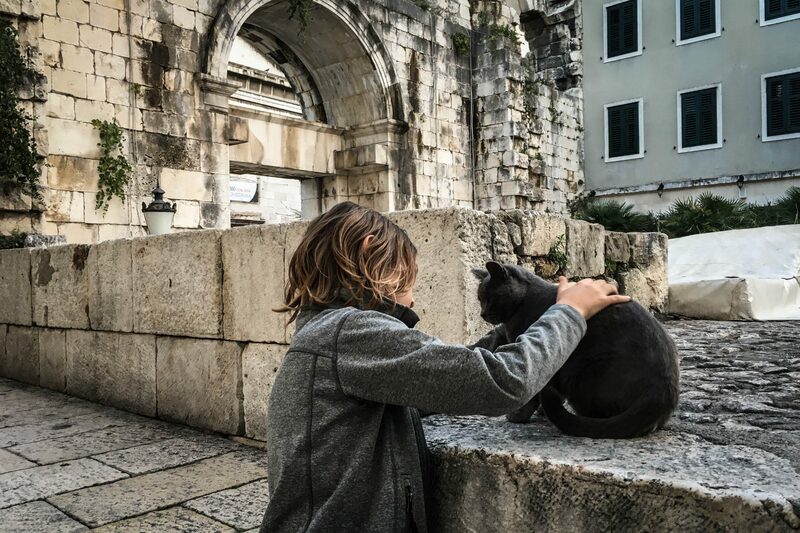 We loved the cats in Italy, too. It is one of the fun things about visiting Europe. There is so much to do in Croatia. I have been seeing so many posts and photos lately too! I hope i get to go soon! So glad we could show you how awesome Croatia is! I visited Hvar about ten years ago in the summer – we stayed in the town and loved it but never got up to the castle. I’d love to go back and see how it’s changed since we were there. I imagine it looks pretty similar, only a lot more people! It is so lovely. Croatia is definitely on my bucket list. I had been debating whether to go in the summer so we can enjoy the beaches or if we should go out of season. Thanks for sharing all the amazing things that can be done during the low season. There is certainly a lot to be explored. Plus the added bonus of not having to fight through crowds. It’s hard to know which is better. We loved not seeing other tourists, but it sure would have been fun to go out on a boat, swim in the sea (more), and hang out on the beach. Croatia is a country I have never visited, but it’s high on my wishlist! It definitely is worth moving to the top of the list! I’m headed to Hvar in a few weeks with friends and we want to go hiking! The photo you posted here of a hike looks gorgeous and you mentioned that you had been on several great hikes. Any recommendations? Thank you! Hi Heather- We hiked up Sveti Nikola or St. Nicholas. It’s the highest mountain on the island and has great views. 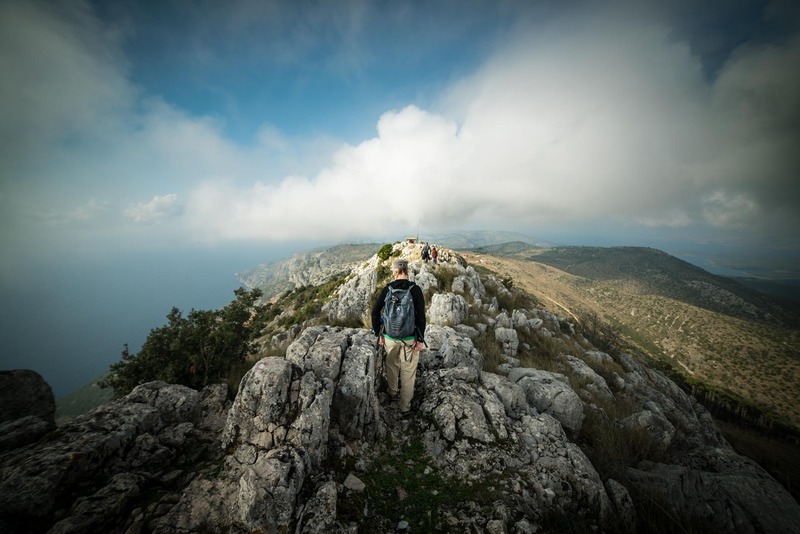 On our second hike we walked from Hvar town to Milna to Motokit (the peak). Great views from there, too. We went with our Airbnb host, but I know there are companies on the island that lead hiking tours. The trails are well marked with painted blazes. Have fun!